The U.S. electric grid loses power 285% more often than it did in 1984, which COSTS BUSINESSES NEARLY $150 BILLION PER YEAR. 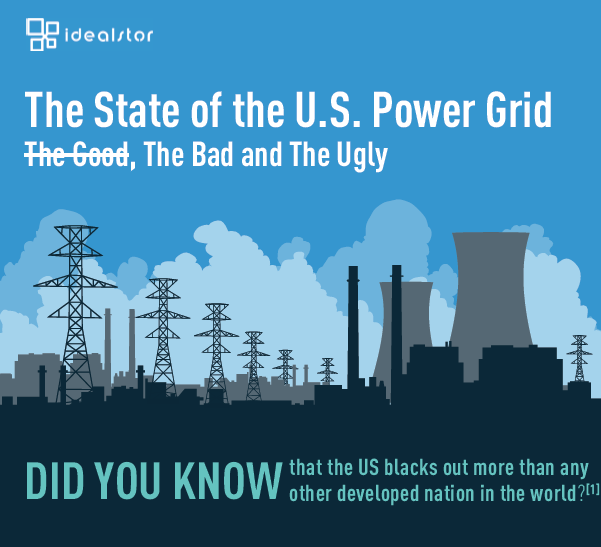 Since 2000, the number of US POWER OUTAGES HAVE DOUBLED EVERY 5 YEARS. Since 2013, California, Texas, and New York HAVE EXPERIENCED THE MOST POWER OUTAGES, while Wyoming, Vermont, and New Mexico have had the fewest.